Home Tags Posts tagged with "Fatma Betul Sayan Kaya"
More than 1,000 protesters gathered outside the Turkish consulate in Rotterdam as the diplomatic row between the two nations escalated. Dutch riot police have used water cannons and horses to disperse protesters outside the building, as Rotterdam expelled a Turkish minister. Protesters were reportedly throwing bottles and mobbing police cars. Turkey’s family minister Fatma Betul Sayan Kaya was denied access to the consulate, and later escorted to the German border. She had arrived by road on March 11 ahead of a rally planned to help harness the votes of Turks living in the Netherlands. They will be voting in a referendum next month on whether to expand President Recep Tayyip Erdogan’s powers. However, when Fatma Betul Sayan Kaya arrived, Dutch authorities refused to allow her entry to the consulate, sparking a stream of angry tweets. Fatma Betul Sayan Kaya was then taken to the German border by police, Dutch PM Mark Rutte confirmed on March 12. In a Facebook post, Mark Rutte said attempts to find a “reasonable solution” to the countries’ differences had proved “impossible”, while dismissing Fatma Betul Sayan Kaya’s arrival in Rotterdam as “irresponsible”. Turkey is holding a referendum on April 16 on whether to turn from a parliamentary to a presidential republic, more akin to the United States. If successful, it would give sweeping new powers to the president, allowing them to appoint ministers, prepare the budget, choose the majority of senior judges and enact certain laws by decree. What’s more, the president alone would be able to announce a state of emergency and dismiss parliament. In order to get it passed, Recep Tayyip Erdogan needs to get the votes of both those citizens living in, and out, of Turkey. There are 5.5 million Turks living outside the country, with 1.4 million eligible voters in Germany alone – and the Yes campaign are keen to get them on side. So a number of rallies have been planned for countries where large numbers of voters currently live, including Germany, Austria and the Netherlands. However, Recep Tayyip Erdogan’s supporters have found themselves blocked from holding these rallies. Many of the countries have cited security concerns as the official reason the rallies have been banned or moved. Austrian Foreign Minister Sebastian Kurz said President Erdogan was not welcome to hold rallies as this could increase friction and hinder integration. Dutch PM Mark Rutte said the Netherlands asked Turkey to desist as they feared “compromised public order and security”. However, many European nations have also expressed deep disquiet about Turkey’s response to the July coup attempt and the country’s perceived slide towards authoritarianism under Recep Tayyip Erdogan. Germany in particular has been critical of the mass arrests and purges that followed – with nearly 100,000 civil servants removed from their posts. 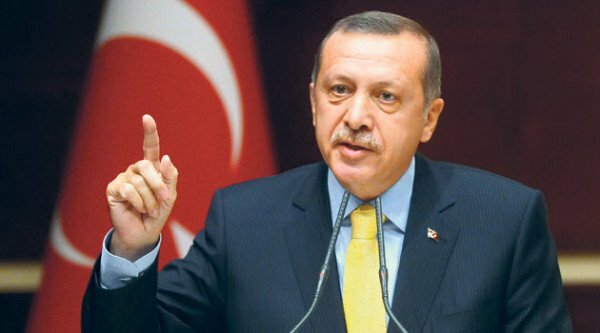 Recep Tayyip Erdogan has lashed out at Germany and the Netherlands, denouncing the Dutch government as “Nazi remnants and fascists”, while accusing Germany of “Nazi practices”. German Chancellor Angela Merkel has condemned the Nazi jibe as “unacceptable”, while Mark Rutte dismissed it as a “crazy remark”. However, Recep Tayyip Erdogan escalated the rhetoric after the Netherlands banned his foreign minister Mevlut Cavusoglu from entering the country by plane by threatening to block Dutch flights. Mevlut Cavusoglu also warned Turkey would impose heavy sanctions if his visit was blocked. Fatma Betul Sayan Kaya ‘s arrival, by road, was seen as a further provocation by Turkey on the part of the Dutch – although Mark Rutte says his government remains “in favor” of speaking with President Erdogan and his colleagues to find a resolution.